Live Trax Vol. 1: Worcester, MA December 8, 1998 (2004), Live Trax Vol. 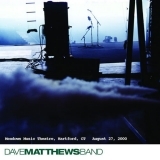 3: Hartford, CT August 27, 2000 (this album) (2005). Sorry, no matches on eBay for "Linus And Lucy Dave Matthews Band".